Home Opinion Featured Articles NPP Must Take Advantage Of Mahama?s free SHS ?conversion? 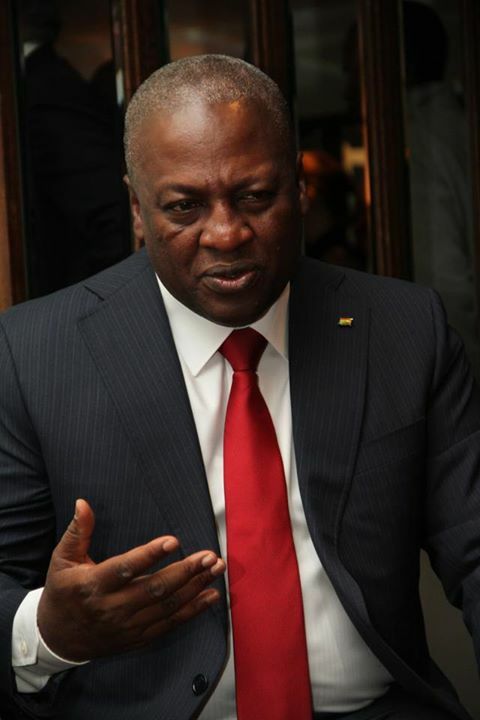 President Mahama is a serial and compulsive ?promiser?. He does not disappoint whenever and wherever he attends a gathering. He is sure to make promises backed by no in-depth analysis of whatever the problem may be. So in the five years or so he has been in power (first as vice-President) he has promised: one-term NHIS premium; 230 constituency offices for MPs; 200,000 low-cost houses; and 200 senior high schools to be built at 50 per year. What these promises have in common is that none of them has been fulfilled. This time though, methinks he has bitten more than he can chew with his ?conversion? to free SHS. This is one too many promise whose fulfilment cannot be buried by propaganda. Unlike removal of schools under trees, where claims are difficult to verify, because no comprehensive list is ever given, he cannot hide from this one. All will know if he fails to make SHS actually and wholly free. But is President Mahama really offering free SHS? The so-called roadmap has not yet been published so we can only go on what he has said so far. During his State of the Nation address, he announced that the government would be absorbing the fees for day senior high school students. He later appeared to have extended this to cover boarders but still maintaining the same headline cost figure. By his emphasising the words ?free SHS? without the word ?progressive?, and with the subsequent hailing by NDC supporters as such, the President is fuelling the misperception that this is ?free SHS? in all aspects. One would have thought that the President, in his subsequent speeches after the State of the Nation address, would move quickly to correct this misperception. This has not happened. For this omission, the he shall incur political costs if anything short of absolutely free SHS is what occurs in 2015/16. Whether deliberate or inadvertent the deception is exposed by the cost figure. If all it would take to offer free SHS was GHC 71.0m, what was the entire furore about when the NPP made it their flagship manifesto commitment? But of course everyone should know that what Mahama is offering is not anything like that. Currently, there are about 400,000 SHS students. The three northern regions (who are already catered for) constitute fewer than 20% of this population. Based on a total number of 320,000 students, the GHC 71m works out at about GHC 75.00 per student per term. Would this be sufficient to offer free SHS? The overall cost most certainly does not account for anticipated increase in enrolment due to increasing numbers that may seek to take advantage of the policy and students who would enrol in the 200 new schools. It does not also account for the cost of employing new teachers in the new SHSs, which some have estimated as up to 4000. More alarmingly, it does nothing to rescue the over 150,000 students (mostly in the rural areas) who drop out of education at the BECE level annually. President Mahama is predicating his apparent U-turn on the availability of the 200 senior high schools by the time the policy is rolled out in 2015/16. Given the dire state of our national finances, it is highly doubtful that even half of these new schools would be built. The high fiscal deficits, at about GHC 9bn annually for the current and the last two years running (i.e. 2012, 2013 and projected for 2014), would make it difficult to support additional significant expenditure. This is a government that is telling us that they have courted the displeasure of our so-called development partners by these deficits. As a result, it appears we are currently being ?punished? by these DPs by their withholding of 700m USD in grants. Why would the same government, facing this action, take on additional significant expenditure? The foregoing shows the NPP as the eventual beneficiary of Mahama?s free SHS conversion. Despite its vigorous opposition in the lead up to the last elections, the NDC is now confirming that free SHS is feasible and that the timing is now. What they are offering, however, is anything but that. The NPP thus has the chance to come back again with their educational policy that had the free SHS as only one component. This time around, though, the NDC would have been immobilised in their criticism by their own opportunistic haste. The way has unwittingly been paved for the NPP to re-introduce its wide-ranging SHS policy, which encompassed: redefining basic education to span from KG to senior high school; making SHS and its equivalents (i.e. commercial, vocational and technical schools) universal. Finally, the state was to absorb all fees (including feeding, library and textbooks) for all these institutions to ensure that the first terminal stage of education in Ghana was at the SHS level. All these were to be provided by spending an extra 1% of GDP on education made available through re-arrangement of priorities and using parts of the proceeds from oil. Instead of feeling stripped of its flagship policy program, this is the time for the NPP to stress the fact that their education policies for the 2012 elections also included the Teacher First; the 3 Rs; the Science, Technology and Innovation; and the Educational Infrastructure Expansion and Improvement policies. These were all situated in the framework of providing a threshold stock of skilled and knowledgeable workforce to change the structure of our economy from one exporting raw materials to one exporting value-added goods. So whatever happens with John Mahama?s version of the ?free SHS?, it should be a win-win situation for the NPP. They were the party that put this on the national agenda and a large part of the electorate identifies them with the policy. If President Mahama is able to absorb some of the fees parents pay, it would bring some relief but also a backlash from its limited scope, which would be different from what is being currently sold. The NPP then stepping in to offer its wide-ranging and integrated version could not anymore be criticised by the NDC, who to the electorate, would then appear to have failed in delivering this promise. Whether Mahama succeeds or fails in this sudden conversion, the NPP would be the winner. The NDC might have thought of denying the NPP of a campaign message in 2016 by this latter day conversion; rather they might have reinforced the NPP message!